I don’t know about where you are, but where I am it is so cold right now! Freezing temps mean lots of time stuck indoors which leads to stir crazy kids. 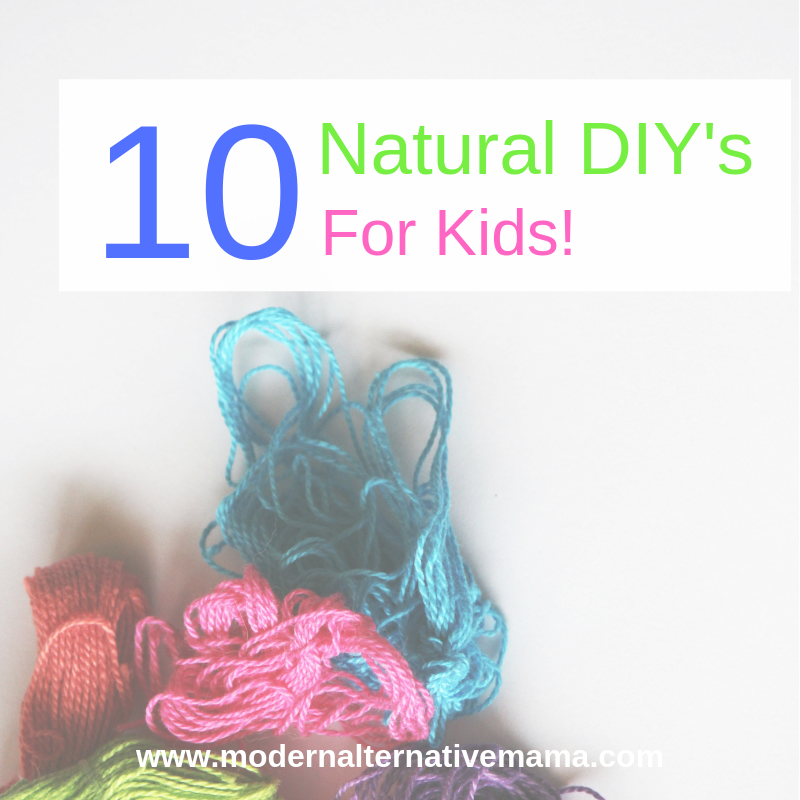 Keep your kids busy and their brains working with this list of 10 DIY’s for kids. This how-to article goes over how you can make heart-shaped lavender-infused natural bath bombs for with your kids to make bath time more fun! Lots of skills are learned during this activity like measurement, ratios, and mixing. These could be made and given as a fun Valentine’s Day gift for friends, classmates, or neighbors. There are a few special tools you’ll need to make them but they can easily be found online or at your local craft store. Here is the link to the instructional post! Dying fabric can be a wonder-inducing activity for young kids. The way their eyes light up when they see the fabric change color is priceless. In this post, you’ll learn about how you can take regular food items you’d find at your farmer’s market and use them to dye fabric in a plethora of colours! Then you can use these fabrics for another DIY! Hand sewing is an excellent skill for kids to learn! This project uses the hand dyed fabrics from the last DIY and uses them to make a small pillow. These little pillows can be stuffed with scrap fabric, wool stuffing, or ends of yarn. Add in a little dried lavender or lavender EO and you have a cute little pillow that your child can put under their big pillow when they sleep! If you have difficult sleepers like me this one is a much appreciated activity! To make one simply cut out two square or rectangular pieces of fabric and have tour child sew on all sides leaving an opening to add stuffing. Then stitch the opening closed. There are DIY kits you can get to make candles with your child. These are so great because they smell amazing while you’re making them. The kids like to mold the candles in their hands and get a sense of satisfaction when they finish making them and see them lit! You can find many different kinds of candle making kits on websites like Etsy or Amazon to match your needs. This project is so simple and fun! You can find all the supplies for this project in your local craft store. Any child would love to have a fleet of their own airplanes in their own custom colours. You could even try using the leftover natural dye from the project above to colour the wood for these little cuties! Here are the instructions and items list for you. This activity is for the slightly older set, I would say ages 8+. These snakes made with paracord are a great way to introduce your child to knot tying – a great outdoors skill! It uses paracord in a variety of colours and some googly eyes. This is a great activity for summer or you can set them afloat in the tub if it’s too cold outside! This DYI uses simple items you likely already have at home and some twigs gathered from the area around your home. You could spend hours creating a whole fleet of ships to set free! The best part is that you don’t have to feel guilty about polluting the environment since all of the materials are natural and biodegradable. And who knows, maybe there’s a frog somewhere looking for a boat! These are darling little stones. Gather some flat stones from around your neighborhood and get some paints and brushes and have some fun! These can be used to create stories or be used like kids use other dollhouse dolls. The possibilities are limited only by your imagination! Protect them once they’re dry by applying a coat of non-toxic white glue and allowing them to dry completely. Done playing with your DIY dolls? You could even leave a trail of them in the forest on your next nature hike to brighten someone’s day. This is a classic kid’s DYI activity that needs to be revisited! It’s a simple DIY you can do with your kids that doesn’t involve any fancy tools or supplies. It will also teach your kids to care about the animals in the environment around them and they will learn about the different bird species that visit the feeder. Here is a how-to post for you to follow. If there are peanut allergies in your home you can use a different nut-butter. This cute under-the-sea inspired project is great for teaching your child dexterity by braiding the octopus’ tentacles! Once they’re finished with the project they’re have a new sea friend to add to their collection. Imagine all the fun colors you could make, AND you’ll be using up all those yarn ends and scraps you don’t know what to do with! 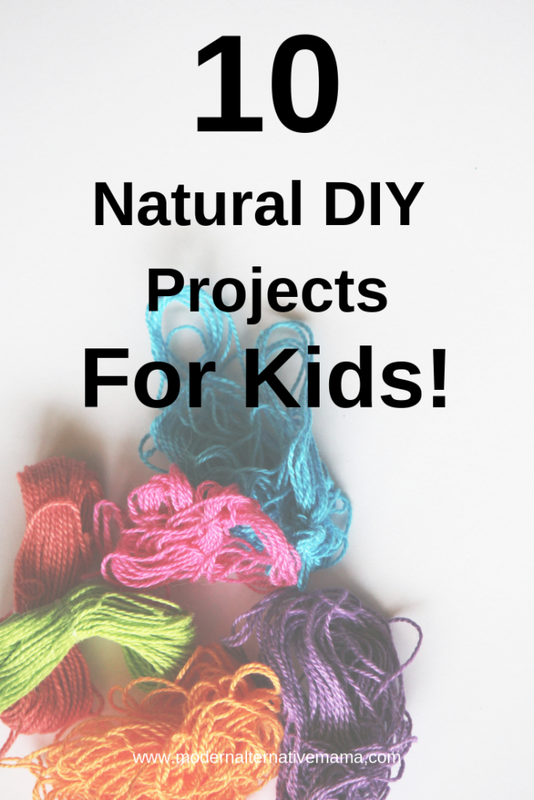 What are you favorite natural DYI projects to do with your kids? Do you need inspiration for more activities you can do with your kids?